Auto thinners rely on the accuracy of modules, each of which are dedicated to one plant line at a time. The module has a camera that recognizes desired plants and measures precisely how much space between the desired seedlings should be sprayed. Agriculture is going through an equivalent of what the computer industry went through in the 1970s and 1980s. That’s when Steve Jobs and Steve Wozniak were creating the first Apples in the garage of Job’s childhood home, Bill Gates was dropping out of college to build Microsoft, and a bit later Michael Dell was assembling more affordable computer parts in his Austin, TX, apartment. Today we’re seeing a similar wave of innovation and toothpaste-and-spackle problem solving. Talk to those in the know about the most exciting automation, and the word “garage” shows up a lot. One drawback of this heady wave of new ideas is that it’s tough to recognize which companies will be the Apple, Microsoft, and Dell of ag tech. There’s a risk that companies we fall in love with may not be around in a few years. Daniel Butler, of Pacific Ag Rentals in Salinas, CA, is a great source for advice on how growers can pick the right equipment. 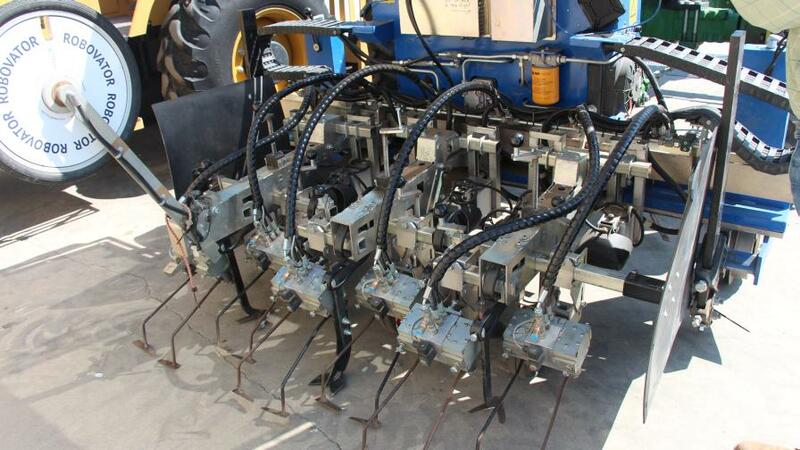 The company sells automation to growers and also allows companies to rent their services to use the equipment on their fields. Being able to vet automation is very important. How, exactly, can one vet such new equipment? “Companies do trials and demonstrations,” Richard Smith, a Vegetable Crop Production and Weed Science Farm Advisor with the University of California, says. Technology-focused events like the upcoming Growing Innovations conference in Las Vegas (see page 16 for details) and Southwest Ag Summit also are valuable, Smith says, since one can see the equipment demonstrated. Butler also suggests visiting with peers who are already using the equipment. Which Equipment Is Catching On? Automated Thinners. The vegetable industry hasn’t adopted automation in a slow, steady way, Smith says. Growers were hesitant for years, then in 2011 lettuce growers began embracing auto thinners in a big way. “It was nothing, then a big surge,” he says. The turning point, he thinks, was the Southwest Ag Summit, where growers were able to see an auto thinner in action and observe that it worked. Butler and Smith both think auto thinners are the most commonly adopted automated field equipment at this point. “If it wasn’t the thinning technology changing the minds of growers, I don’t think we’d be seeing the adoption of other technologies as rapidly as we’ve seen in the past two years,” Butler says. View the slideshow above to learn how the auto thinner works. Robo-Weeding: Cameras and sensors allow auto weeders to cut only the unwanted plants. Automated Weeders. The new weeders hitting the market get into the plant line itself, removing weeds while leaving the desired plant in place. Both Butler and Smith see auto weeders as the next widely adopted equipment for the vegetable market. Automated Harvesters. Like auto thinners, auto harvesters have been around awhile, primarily used on destructive harvest crops like lettuce and carrots. 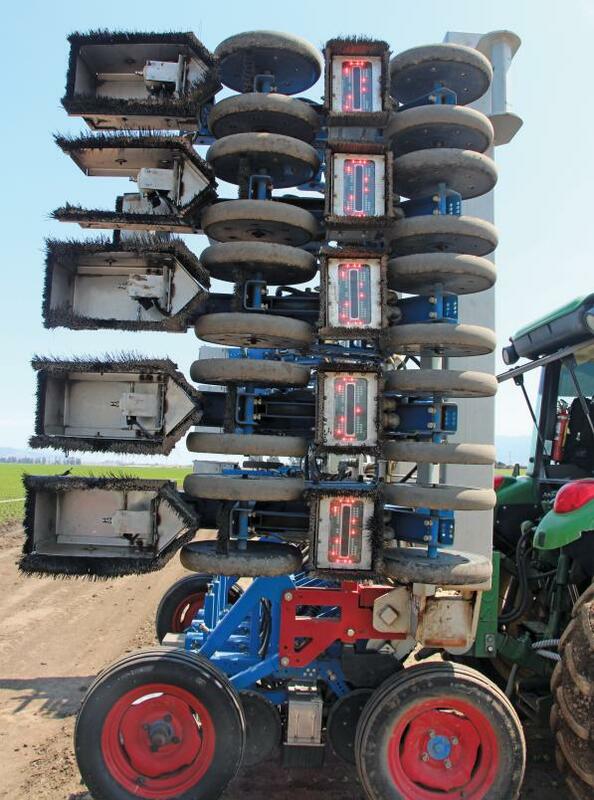 Companies are working hard to develop auto harvesters that can work on repeated passes like strawberries. PlantTape. This technology, which unfurls a tape of perfectly spaced transplants, is gaining popularity. The namesake company is testing as many crops as it can to see which transplants can successfully be grown using PlantTape. A test plot at Tanimura & Antle trialed several new crops for PlantTape, including beets, Brussels sprouts, and celery. Cauliflower Leaf Stitcher. One company that has that garage bona fides is Flor. It has introduced what can only be described as a sewing machine for cauliflower crops. The machine lifts leaves from both sides of the plant, then stitches the leaves together along the entire row. The cauliflower head is protected from the sun, even if the leaves wilt somewhat. And crews no longer need to hand wrap each plant. The machine stitches four rows at a time. 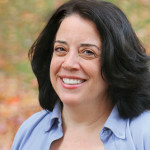 Carol Miller is the Editor of American Vegetable Grower® magazine, a sister publication of PrecisionAg® Professional magazine at Meister Media Worldwide. See all author stories here.